Let’s pay attention to something that needs it: ADHD. 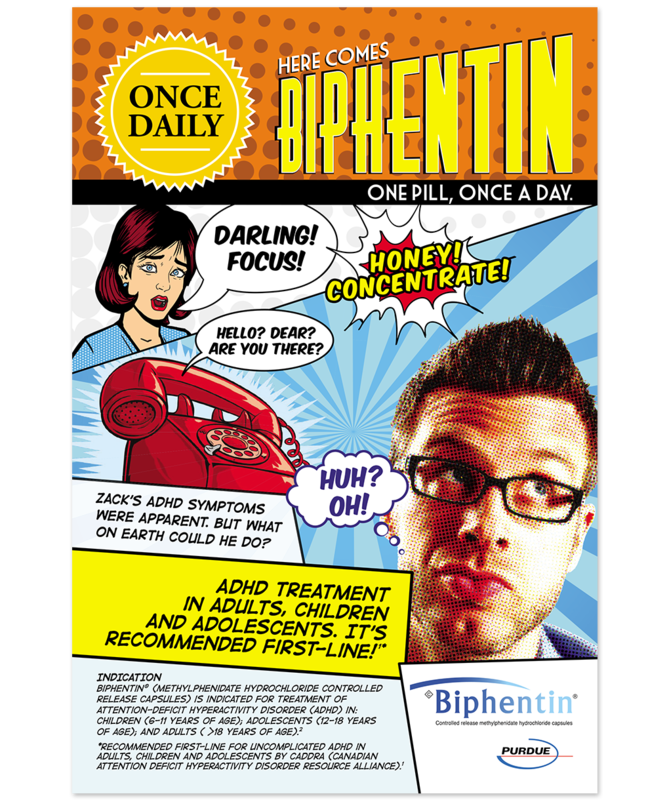 For Biphentin®, an ADHD treatment, what was important was to grab attention, while prominently featuring the various demographics affected by ADHD. 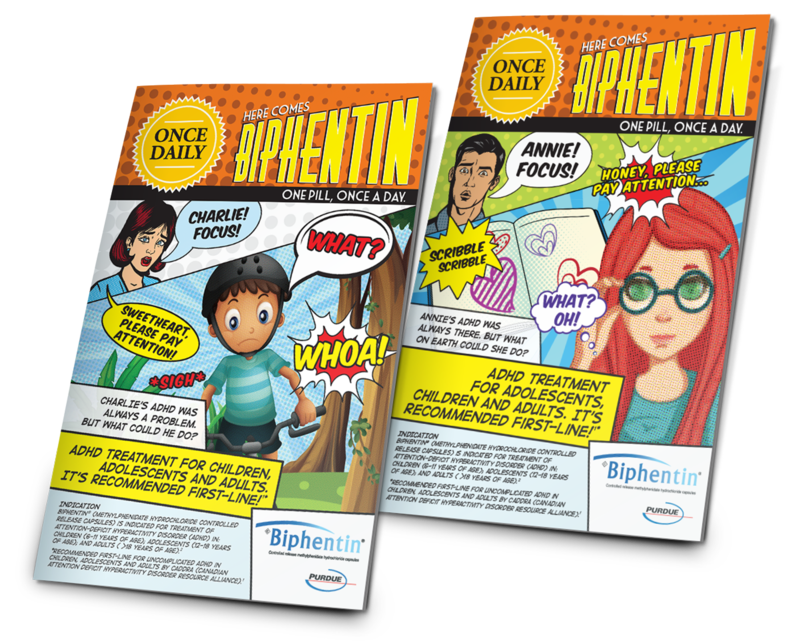 Using comic book styling to tell the patient story not only effectively branded Biphentin® visually, it provided physicians with in-sight scenarios into their patients’ trials and tribulation. 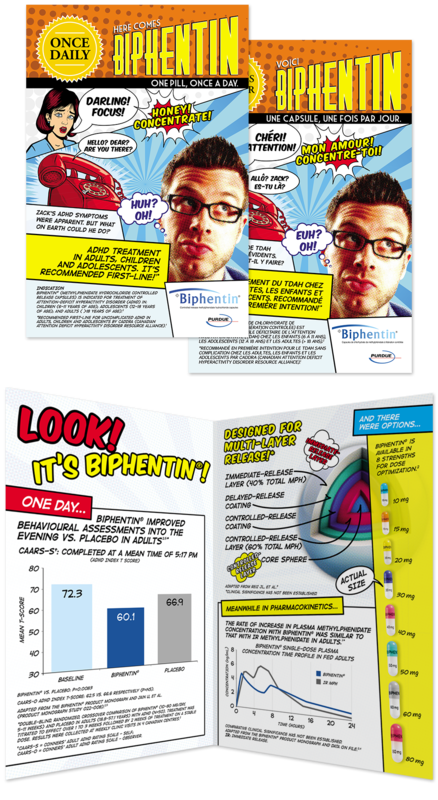 The comic serial campaign featured three different demographics: adult, tween and child. Each version commands attention and easily distinguishes the brand in this cluttered space.